“Leaves” and “My Heart” by Doug Ward (c) 2015. All other songs by Simon Fink (c) 2015 (ASCAP). Our special thanks to the guest musicians for making this recording possible. And to Megan Wyeth, Json Myers w/ Goode Food, & Randy McKnight for your generous contributions. Also, much gratitude to our sweet families, friends, & fans for all the love & support! of a springtime long ago. the real thing blew away. Did your skies turned blue? Did your day break anew? Did your stars shine true? With a song that I love? 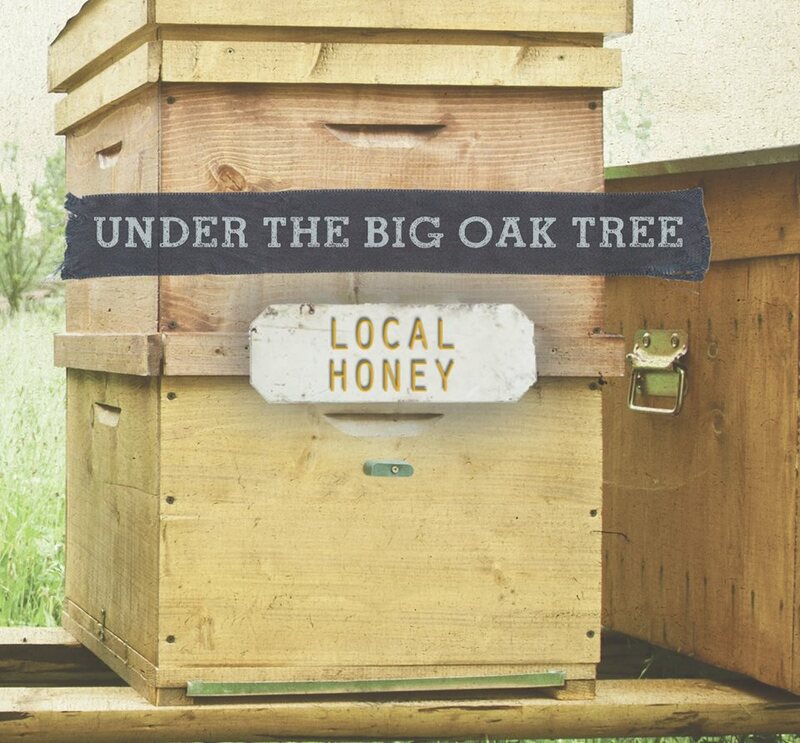 Like its title, Under the Big Oak Tree’s new album Local Honey conjures up an atmosphere of rustic sweetness, but there is nothing saccharine about this western Missouri acoustic trio’s updated version of American roots music. Buoyed by Kirstin Hamilton’s quavering vocals that walk the line between Nashville pop and melancholy mountain music (most notably in the title track), Local Honey features a batch of haunting, literate songs grounded in the bluegrass tradition while evoking the history of country music, including wistful sixties folk tunes (“The Road”), Appalachian miner ballads (“Tracks of the Train”), Tex-Mex shuffles (“Joanna”), and even 1960s Countrypolitan standards (“Leaves”). Combining crisp production and stellar musicianship, Local Honey 's sound is at once wholesome, wistful, and, most of all, welcoming, as if the band is serenading you from their front porch across the street on a late spring afternoon.